If the owner of a copyrighted work cannot be found, can I use it? It may be possible if you analyze the orphan work properly. Should Art Fairs Allow Visitors to Instagram Their Favorite Artworks? 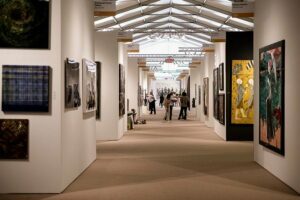 It's common to see art fair visitors snapping photos of artworks for Instagram, but does the practice constitute copyright infringement, or is it fair use? Who Owns the Copyright in Public Art? How would U.S. copyright laws govern online distribution of photos of public art? Does the artist own the copyright in the work? Is Copyright Duration Too Long?